The ForceFlex™ spectacle utilises a novel application of the very latest in plastic technology making them almost unbreakable. The frame of the spectacle is able to recover from almost any deformation that it may receive from simply being left in the wearers pocket to being stood on. The frames also feature comfortable polymers where they touch the wearers skin ensuring both a secure and comfortable fit. All units exceed the high optical standards for ANSI Z87.1, EN166 and AS/NZS meets the US Military requirements. 15 Calibre Ballistic Impact test which exceeds EN166.F by over six times. Sports style side arms to ensure comfortable, secure fit. Enhanced soft rubber for maximum ease of wear. 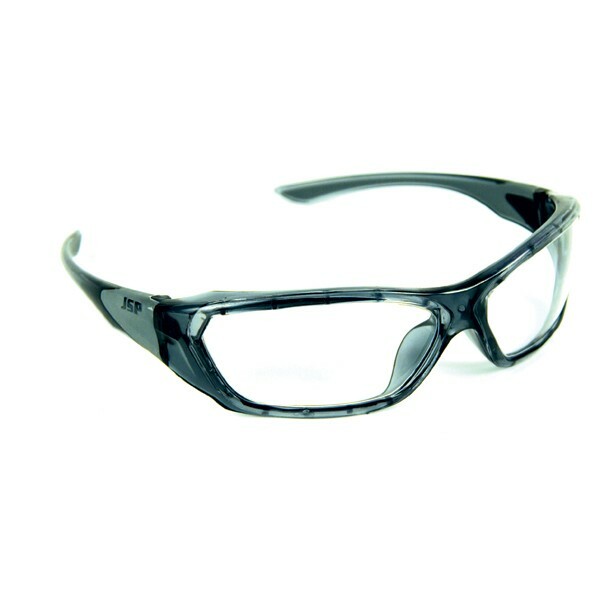 Supple frame-casing adjusts exactly to wearers face making them the most comfortable glasses available. World leading inject-binded lens and frame ensure optimum resilience, life span and unbeatable performance. Fully flexible enhanced TPU frame is capable of recovering from almost any deformation. ForceFlex™ technology cushions and absorbs impact such as being dropped and/or stood on.